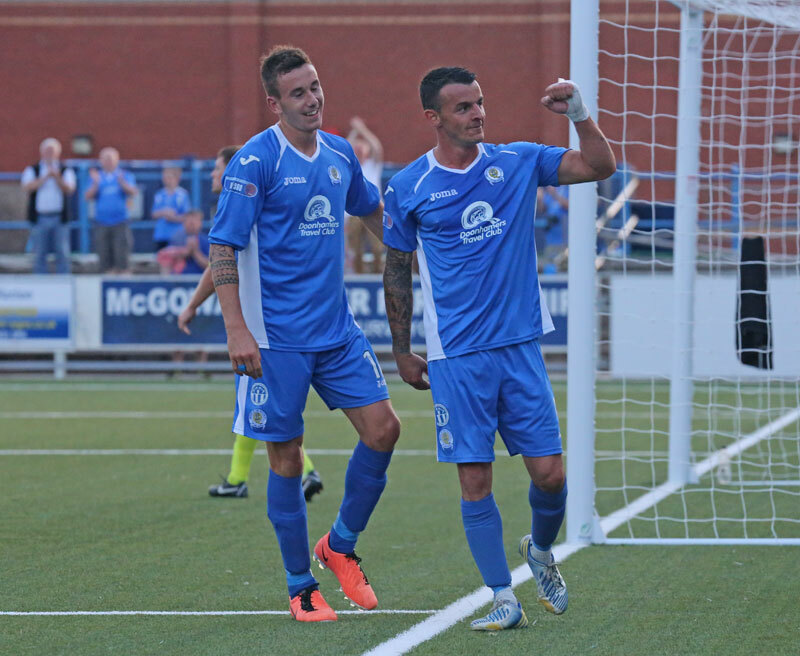 Queens completed their build up to the new season this evening after they produced a superb performance to record a 4-2 victory over League Cup holders St.Mirren in an entertaining clash at Palmerston. Queens were full value for their win against the team from the top-flight league, and much like the weekend game against Hearts, they dominated large spells of the game, only this time they had the added bonus of scoring four times. Manager, Jim McIntyre, once again gave all of his outfield players some match time as Queens began with what seems to be the preferred 4-1-2-3 formation, with latest signing, goalkeeper, Callum Antell starting for the first time as an official Queens player having previously appeared as a trialist in the last 3 pre-season games. There was also a first home start for striker Iain Russell who along with Gavin Reilly, and Michael Paton, formed a 3 man forward line. Club captain, Chris Higgins moved to left back, whilst Ryan McGuffie began at right back.The visitors made several changes to the team that were beaten by Morton in the Renfrewshire Cup final at the weekend, and included former Gretna and Hearts player Danny Grainger as a trialist, whilst former Queens player Marc McAusland played at the heart of the Saints defence. As in the previous game against Hearts, Queens were quickly into their stride and they forced an early corner after Ryan McGuffie`s cross was blocked. With usual set-piece taker not involved in the first half, Paul Burns was given the role, and his driven kick to the far post caused the Saints defence a few problems before they were finally able to clear the danger. The quick, crisp, passing style that Queens are striving to play was once again in evidence, with Burns and Michael Paton sweeping passes all over the pitch, and it was Paton who had the first attempt on goal when following a short free-kick, his drive from the edge of the box was deflected for a corner, that the visitors dealt with comfortably. The former Aberdeen player went even closer to opening the scoring after 16 minutes when after good play involving Higgins and Russell down the left, a foul on Russell gave Queens a free-kick just outside the box. Paton hit a perfect drive that looked to be heading in, but Saints `keeper Christophe Dilo got finger tips to the shot to touch the ball onto and over the bar. The resulting corner almost proved beneficial to Queens when Burns` short kick to Paton was missed by the striker but fell nicely into the path of Stephen McKenna, but probably surprised that the ball fell to him, he didn`t really connect well his effort and the ball cleared the bar. Little had been seen of the visitors in the final third of the field, but they created a half chance when a cross from Harkins found its way to Thompson 16 yards out, but the striker`s shot was blocked almost as it left his foot. The best chance of the opening 20 minutes fell to Queens, and in particular to Gavin Reilly. The striker was sent clean through with only the `keeper to beat, but instead of going for power with his shot, he elected to try and place the ball past Dilo, who reacted well to parry the shot, and Russell following up could not add the final touch as the angle was always against him. St.Mirren responded almost straight away with their best chance of the half when their most dangerous player, Gary Harkins skipped past two defenders before seeing his goal bound shot deflected which allowed Callum Antell to make his first real save of the game. On 23 minutes, the first goal on the new Palmerston surface arrived, and what a well worked and well taken goal it was. Higgins and Russell combined well down the left once again, and Russell was able to find enough space to deliver a cross into the area where the ball was met by the run from midfield by Stephen McKenna who volleyed the ball past the helpless Saints `keeper from 8-yards out. Just past the half an hour mark, Thompson should have levelled the game, but from just 4 yards out he managed to stab his shot wide of the target when completely unmarked. Stephen McKenna then produced a moment of magic in midfield, skipping past two players before laying the ball off for Burns who in turn created a shooting chance for Russell, but his rather hurried effort was always going well wide of the target. Ten minutes from the break, Saints were denied an equaliser when McAusland fired a close range shot off the post following poor defending by the Queens defence at a corner, and moments later McAusland was in the thick of the action again, this time becoming the first player to be cautioned for a rash challenge on Russell. The final action of an entertaining half saw good work from Reilly and Russell create a shooting chance for McKenna , but his shot although straight, was always going wide of the far post. A decent first half from Queens and they were certainly well worth their advantage at the break. The visitors made two changes at the interval, replacing Mair and McAusland, with Kelly and Teale, and within seconds of coming on, Kelly forced Antell into making a sharp save at his near post, as the SPL side looked to get themselves back into the game. There was an obvious quickening in pace from the visitors, and it came as no surprise when on 48 minutes they drew level. Harkins, who had started to have more influence on the game, picked up the ball just outside the box on the left, eased his way past 3 Queens defenders before placing the ball past Antell from the edge of the 6 yard box. Queens had been given the ultimate punishment for their sloppy start to the half, but to their credit, they bounced straight back and regained the lead just 3 minutes later. The pace of Reilly helped him to latch onto a short pass from defence and as he moved towards goal with only the`keeper in his way, the striker was hauled to the ground by the Saints `keeper as he attempted to go around him. It was a clear penalty, and if the game had been more than a friendly encounter, the visitors would have been reduced to 10 men, but as it was, the referee showed common sense in only dishing out a yellow card. Michael Paton stepped forward to send the ball past the `keeper to restore Queens` lead, and to score for the first time at Palmerston. Queens continued to play some really good passing football, and a flowing move involving Russell, Reilly and Burns ended with Paton hitting a low drive that was well held by Dilo. Derek Young was replaced by Ian McShane after 57 minutes with the youngster stepping into Young`s position just in front of the back four, this was soon followed by 6 more Queens changes just after the hour mark, as Higgins,Dowie,McKenna,Burns, Reilly, and Paton were replaced by Holt,Mitchell, Slattery, Carmichael, Lyle, and Orsi. As the game finally settled after the changes, Dan Orsi picked his way past a couple of defenders before firing a shot just wide of the far post. With St.Mirren having a lot of the ball at this stage, Queens were starting to come under a bit more pressure, but when the visitors equalised after 68 minutes, it was more down to a series of errors by Queens rather than good play from the Saints, although to be fair, the goal was pure class. After giving the ball away in the middle of the park, Queens were always on the back foot, and as Teale ghosted his way beyond the defence, the former Scottish internationalist produced a sublime chip that was judged to perfection to beat Antell and land first bounce into the net. After being pegged back again, Queens still continued to take the game to the Saints, and Dan Carmichael saw his effort well saved from a shot just inside the area. On 73 minutes, Queens regained the lead. Carmichael broke clear in midfield before slipping a perfectly weighted pass into the path of Derek Lyle who finished in confident style. A superb pass from Harkins to Teale created another opening for the visitors but `keeper Antell produced a fine save to keep his shot out, and then Lyle was in the right place to head the ball off the line following a header by McGregor. 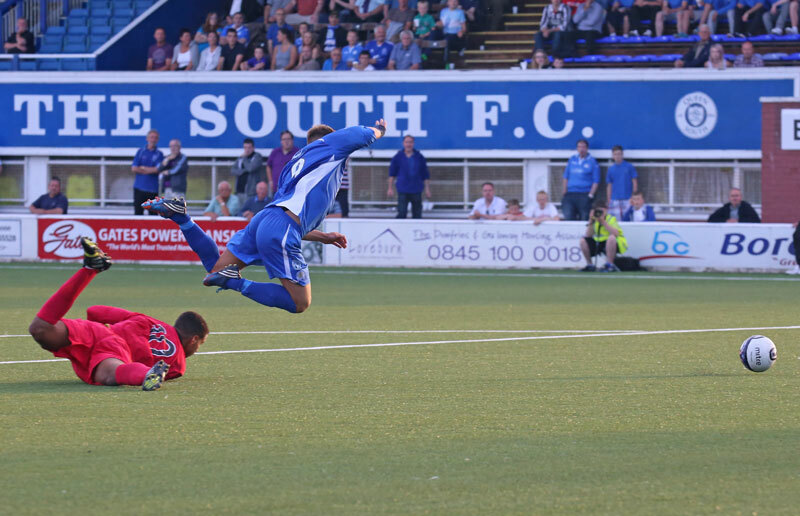 Four minutes from time, Queens looked certain to add to their goal tally for the night, but after getting ahead of the defence Lyle was unable to direct Chris Mitchell`s low cross into the net. However, Queens did add to the score following a superb move involving Russell and Orsi which allowed Orsi the chance to deliver a perfectly judged ball into the path of Derek Lyle who swept the ball into the far corner past a well beaten Saints`keeper. So with an impressive pre-season behind them-unbeaten in 5 games-the `real thing` will start for Queens on Saturday when they begin their defence of the Ramsdens Cup with a home tie against Lowland League side Spartans, and at this early stage, the signs are looking very promising. 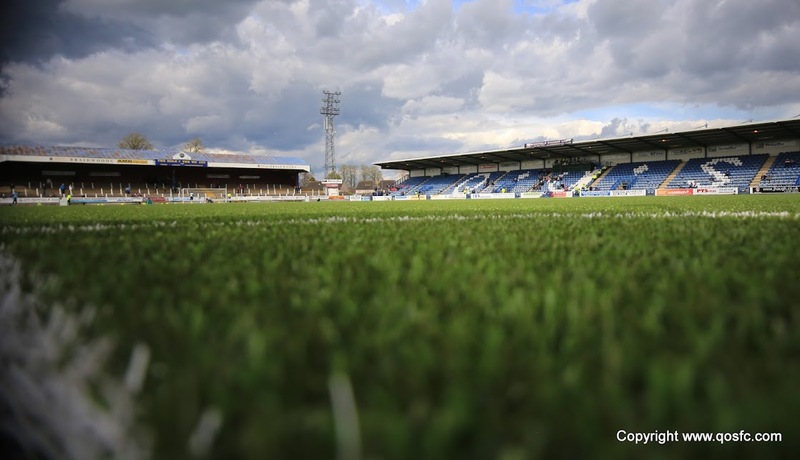 19:18 Hello folks and welcome to the final warmup game for the new season as Queens host League Cup holders St Mirren at Palmerston Park. 19:24 And tonight`s whistler is Calum Murray assisted by flagwavers Stuart MacMillan and Brian Templeton. 19:29 Looks a strong line-up for St Mirren so a similar performance to Saturday`s draw with Hearts may well be required for Queens tonight. 2 min Queens start the game in a 4-3-3 formation with Reilly being the central striker, Paton on the right and Russell left. 9 min So far it has been Queens with most of the play but we are yet to see an effort on goal at either end. 14 min Dangerous free-kick for Queens on the left side of the box as Goodwin brings down Russell. 15 min Off the bar! Michael Paton steps up and curls the freekick goalwards before the `keeper tips it onto the bar. 19 min First real threat from the away side as Thompson turns to shoot on the edge of the 18 yard box but his shot is blocked and Queens clear. 20 min He should have scored! Gavin Reilly gets the break of the ball and can pick his spot but Dilo parries and Russell can`t squeeze it in. 23 min St Mirren cut the Queens defence open as Harkins runs through but his effort is deflected and Antell does well to reach and push it wide. 27 min *Disregard the scoreline in the GOAL QUEENS update - a wee technical problem there. The score is 1-0 to Queens. 32 min Nice play in centre midfield from McKenna and Burns creates space for Russell to cut in from the left but his shot flies well over. 36 min Off the post St Mirren! Lax defending from Queens at a corner sees McAusland free to volley off the inside of the post and away. Lucky. 39 min Yellow Card : St Mirren`s Marc McAusland deserves his booking as he slides in on Russell. 45 min Decent hit from McKenna as he strikes from 30 yards but it was always heading wide of the target. Half Time Very encouraging first half from Queens. They have made most of the running tonight and go in deservedly 1-0 up. 46 min Gary Teale is on for St Mirren in place of McAusland. 47 min St Mirren immediately on the attack and Kelly brings a smart save out of Queens `keeper Antell. 49 min Cracking equaliser from Harkins as he beats one, nutmegs another and rounds Antell to score. Quality goal. 51 min Penalty to Queens as Reilly is brought down by the keeper. 52 min Yellow Card : St Mirren `keeper Dilo would have been red carded had it not been a friendly match but gets away with a booking. 56 min Lovely strike from Paton brings a smart, low save from Dilo as Queens are playing some really good football. 66 min Dan Orsi gets straight into the action and runs at his full-back before pulling a shot just wide. Good direct running from the winger. 69 min Wonderful goal from Teale. Queens overplay in midfield and the ball breaks to Teale who chips the ball wonderfully over Antell to level. 73 min Queens regain the lead as Carmichael runs at the centre of defence before playing in Lyle who finds the corner. Deserved. 82 min Great save Antell! Nice play from Harkins sets Teale off down the right and his low shot is headed for the far corner but for Antell`s save. 83 min Off the line! St Mirren send in a corner from the left and McGregor heads toward the corner but Lyle is on the post to clear. 86 min Big miss from Lyle! Queens break down the right and Mitchell`s cut-back finds Lyle who looks certain to score but drags the ball wide. 89 min Nice goal from Queens as Dan Orsi is set clear down the right and his low cross is buried by Derek Lyle. 21:17 Very enjoyable game and an impressive performance from Queens bodes well for the season ahead. Queens were full value for win.